We’ve all got a best friend who we wouldn’t be able to live without, and the holidays are the perfect time to show them how much you love and appreciate them! If you’re wondering what to get your bestie for Christmas this year, look no further. 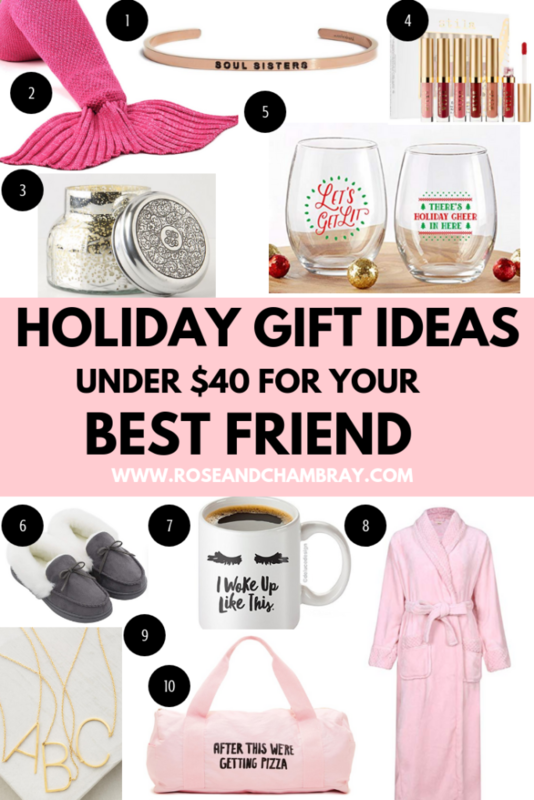 I’ve rounded up the best gifts to give your BFF (whether that be your mom, sister, cousin or sister from another mister) this holiday season, and they’re all under $50! 1. Soul Sister Mantraband, $35– My best friend Katie got me a rose gold “Soul Sister’ Mantraband last year for my birthday, and I have worn it almost every day since. Not only is this super sweet and thoughtful, she’ll actually LOVE it and use it! These kinda remind me of the chic and adult version of those half heart bff necklaces we used to wear when we were kids. Get one for her and one for you and twin it up whether you’re near or far. Also love this “She believed she could, so she did” Mantraband. – I just love this fun blanket! One of my best friends received this as a birthday gift this year, and I thought it was so cute and creative. I’ve heard it’s super soft and cozy, too. 3. Capri Blue Volcano Candle, $30– Who doesn’t love a divinely scented candle in a gorgeous holder? This will not only make your besties house smell amazing, but the beautiful holder will make a great accessory on her coffee table, night stand or countertop. 4. Play It Cool Stay All Day Liquid Lipstick Set, $40– Stila makes some of the best liquid lipsticks out there, and this set has some beautiful colors. This would be the perfect inexpensive gift for any girly girl you need to shop for. 5. Kate Aspen Wine Glass set, $20– This set is so festive for the holidays, and everyone could use a new wine glass, or two. 6. 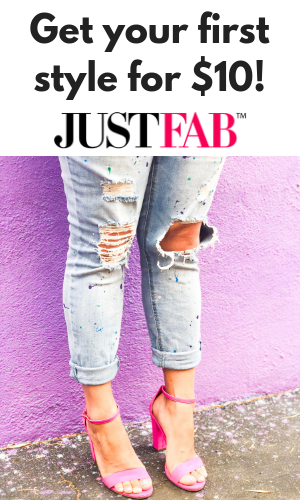 Faux Fur Lined Slippers, $20– How adorable are these cozy slippers? I don’t know about you, but I’m obsessed with slippers, especially in the colder months. These can be worn in the house or to run easy errands, and they come in grey, brown, black and wine. – Every working girl needs a good mug for her morning coffee or tea, and this one is a great option! I love the lashes, and you know it will get used on the weekly, if not the daily. 8. Plush Warm Bathrobe, $25-$35– Bath robes are an item that every fabulous lady needs, but she might not know it. I wear my bath robe every day, and it makes getting ready and lounging around the house feel so much more luxurious. This one has a 4.5-star rating with over 2K reviews on Amazon (so you know it’s good) and will make your bestie feel like a damn queen. 9. Anthropologie Monogram Pendant Necklace, $38– Or anything monogrammed, really! This pendant is so unique, and your bestie will get a ton of wear out of it. I’ve had my eye on this, and since it’s 30% off today…I’m treating myself. – What better way to show your bestie some love than gifting her a new gym/weekender bag with a cheeky message? This bag from Ban.do would be great as a gym bag or for your next girl’s night in slumber party. 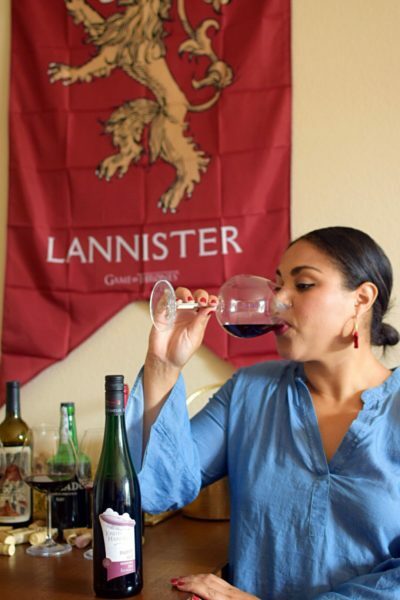 Got someone in your life who LOVES wine? 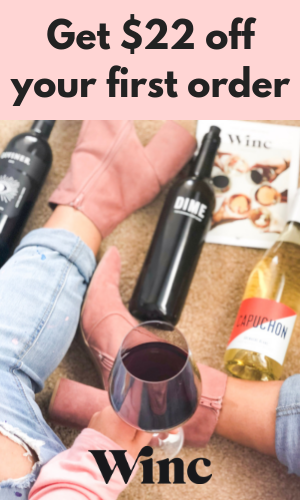 Check out my gift guide for wineo’s here.